Maryam’s presents the most lavish embroidery collection of the season. From delicate threads to the finest needle work, this collection assures to bring the most eye catchy yet simplistically majestic masterpieces. Maryam’s one of the best and leading party wear clothing brand in Pakistan also introducing stunning luxury embroidered chiffon collection in chic designs and colors. 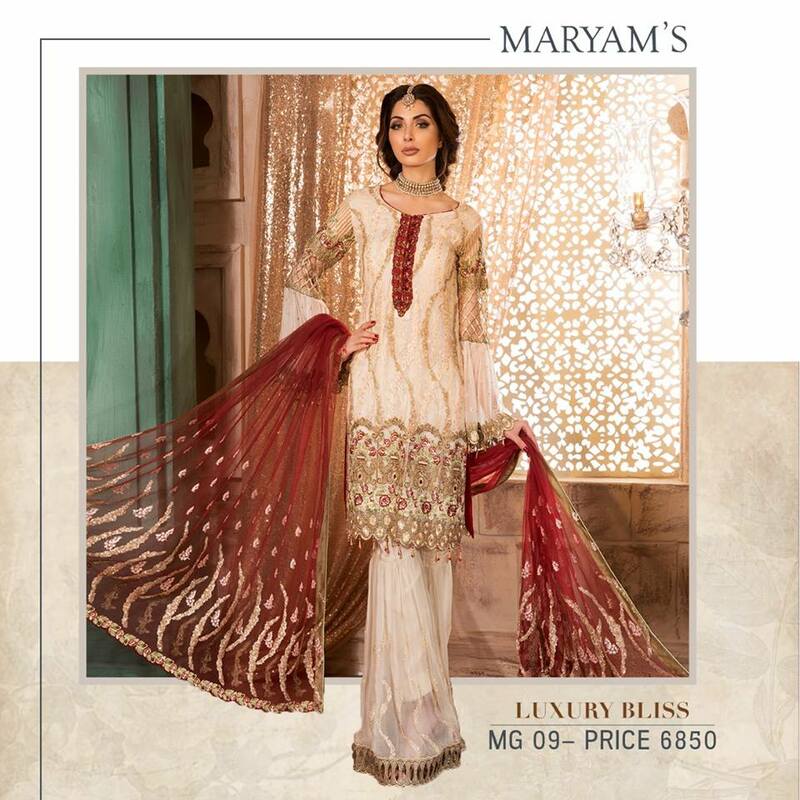 Look latest collection of Maryam’s hope you like or want to plan these stunning attire on next party function. So you can buy this collection online at our online store, we also provide professional custom stitching for our international clients. For more information feel free to contact us at +92-300-653021.